Small and mid-size businesses (SMBs) face many of the same IT woes as larger corporations — sometimes more! But hiring a CIO is often out of the question. Instead, many successful companies rely on the expertise offered by a virtual CIO (vCIO) as part of a Managed IT solution. 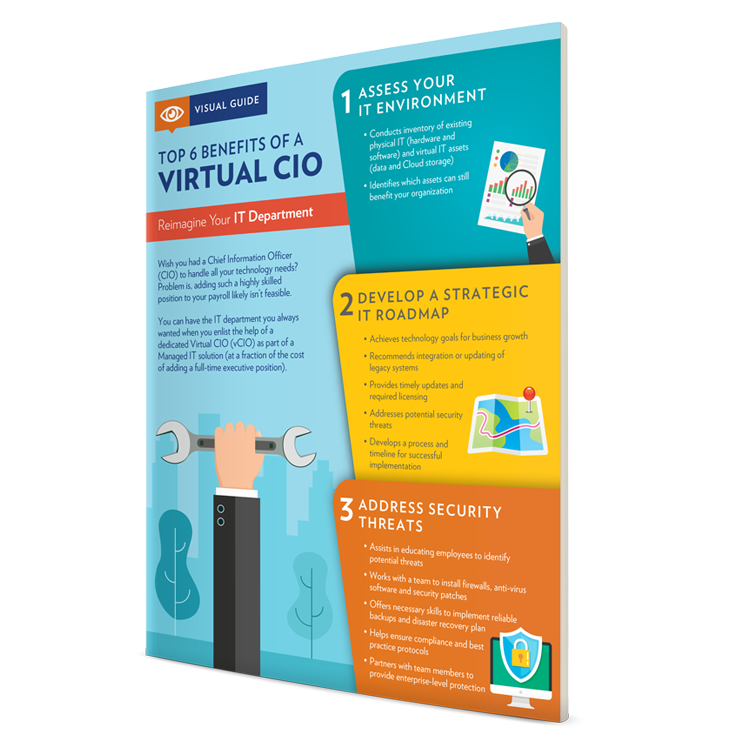 This infographic outlines what a vCIO can do for your business — from the first steps of conducting an inventory of your assets and determining an IT strategy, to helping prevent cyber risks and addressing technical issues as they arise. That and more can be accomplished with the personalized approach of a dedicated vCIO, not the least of which is improving your bottom line. 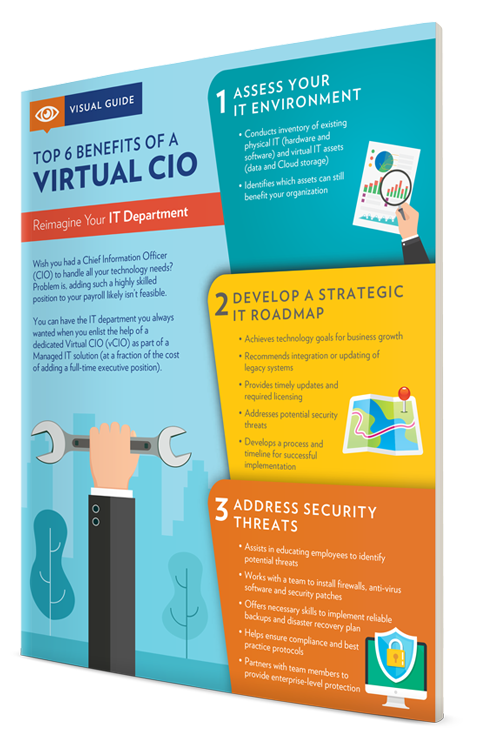 Access your free Top 6 Benefits of a vCIO infographic now by filling out the form.